This is the first year this plant has bloomed for me and I really like what I see. 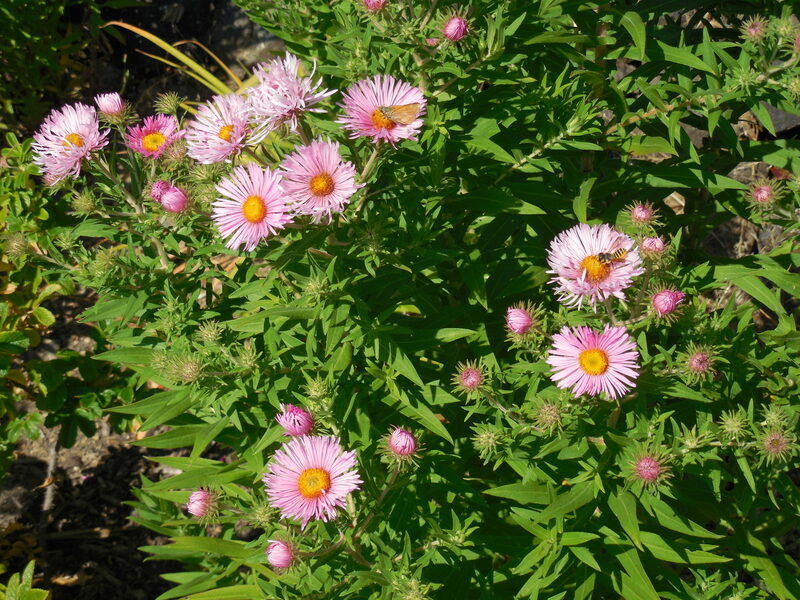 It was a good surprise to see the pastel pink flower color which goes perfect with the other flowers in the same bed. The bi-color leaves were a good find for me, as they make the plant interesting not just when it is in bloom. It was two falls ago that I spotted a large flowering shrub in a few places in town. 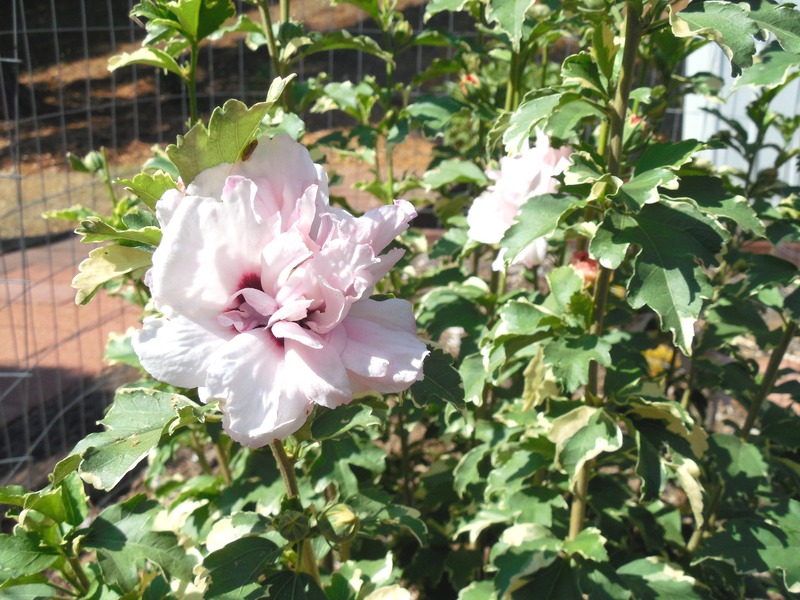 After asking around, I learned it was a Rose of Sharon that I had admired. Then the search for the plant of my desire at a neighborhood nursery. I got lucky again, and found it at a newer nursery that was not far away. I just read up on this plant in the internet and am now aware of some of its downsides. We’ll see how I feel about it in another year, but I do think I’ll move some near-by plants a bit farther away, as this could grow quite big. Categories: Uncategorized | Tags: bi-color, bloom, downsides, flowers, large, leaves, pastel, pink, plant, shrub | Permalink. 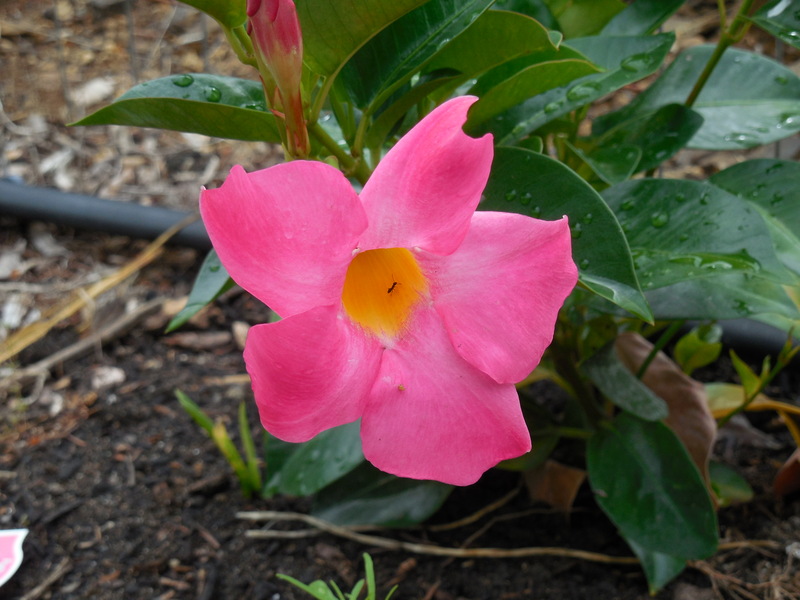 Okay, it is late in the season to highlight these flowers, but I saw a bloom just today in a shaded area next to a deck. I’ve had the pink variety for awhile, and coveted the white one in a friend’s garden. She generously shared with me, but warned that it easily reseeds itself. 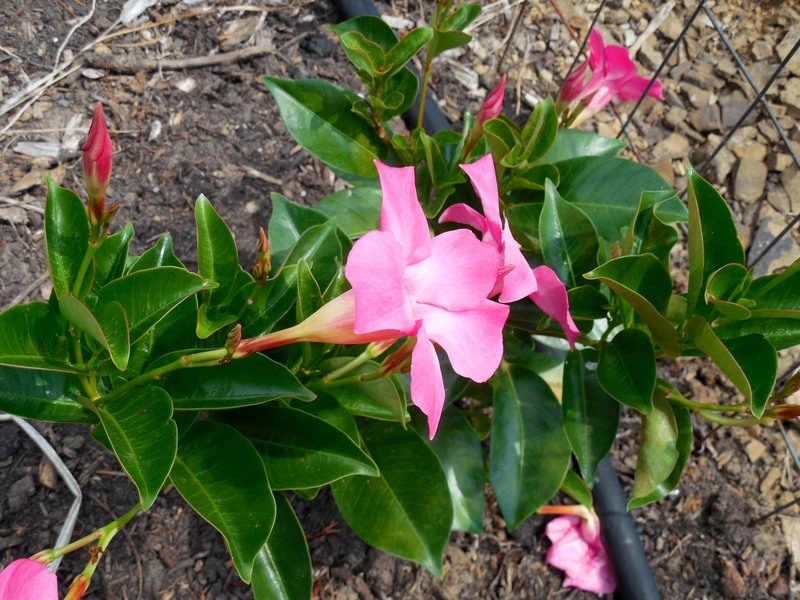 I’m wondering if someday I might get flowers in a paler pink or a bi-color as the plants may intermingle. I have moved some baby plants to un-caged areas that are not protected from deer. The fuzzy grey leaves give me hope they can survive. One season into this experiment, the results are ‘so far, so good’. Which means that I trust the deer as long as I can see them. Or until a very dry autumn has passed. When they get very hungry, most everything is at risk. These flowers look real pretty in a mini-vase and in the garden. I so love low maintenance perennials. 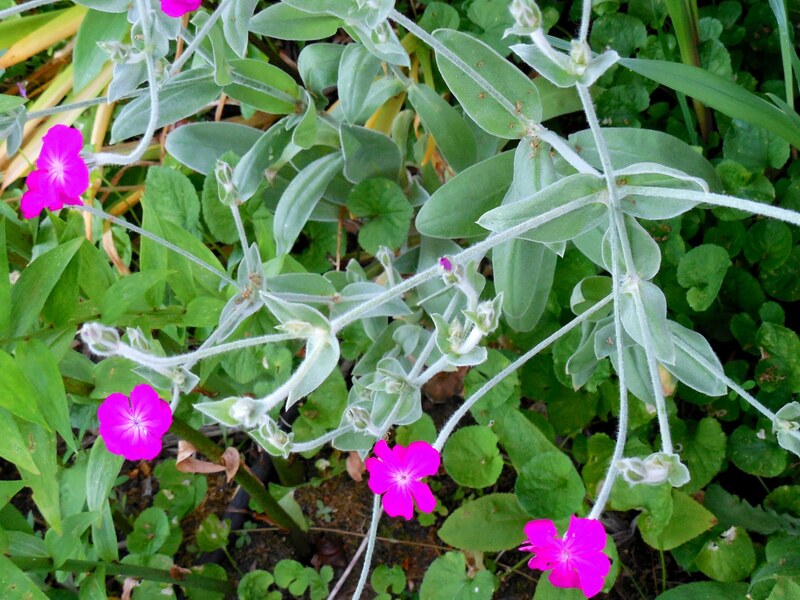 Categories: Uncategorized | Tags: Campion, deer, flower, fuzzy, leaves, lychnis, mini-vase, perennial, pink, plant, rose, variety, white | Permalink. The sunflower family includes so many flowers, from giant heads to very tiny. From short to very, very tall. 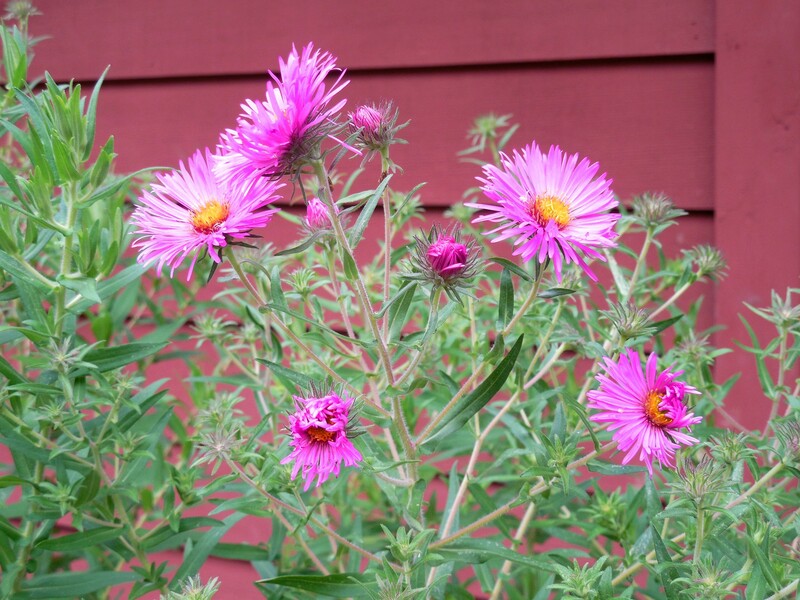 This particular example is a perennial with showy blooms just a few inches across. Deer find them tasty, so they grow in flower jails (cages) on my property. Some insect also finds the blossoms delicious, as the petals are very uneven and often disappear before the bloom is finished. I purchased starters for this plant from a mail-order catalog, a rarity for me. Years later in my flower gardening path, I found the catalog and can see how the company makes money on this and many others they offer for sale. They multiply easily. 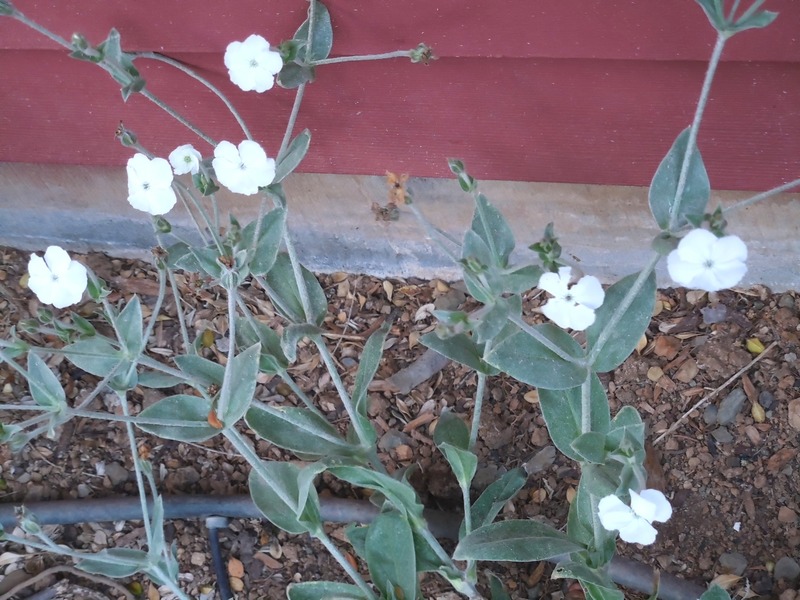 I have shared this plant with as many people as I can get to take it. Though it is pretty, it can definitely take over an area. 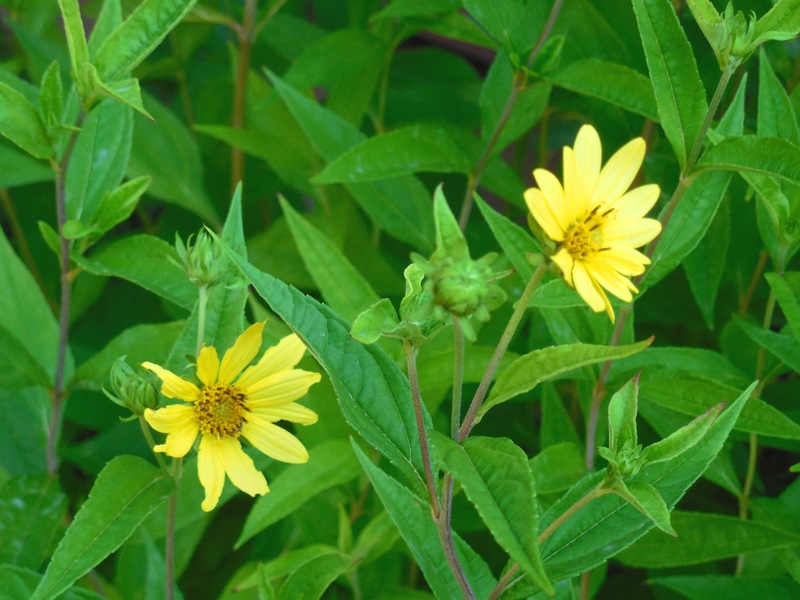 Categories: Uncategorized | Tags: bloom, blossom, catalog, easily, flower, helianthus, Lemon Queen, mail-order, multiply, perennial, sunflower | Permalink. My husband brought this home one day, because he thought it had pretty flowers. 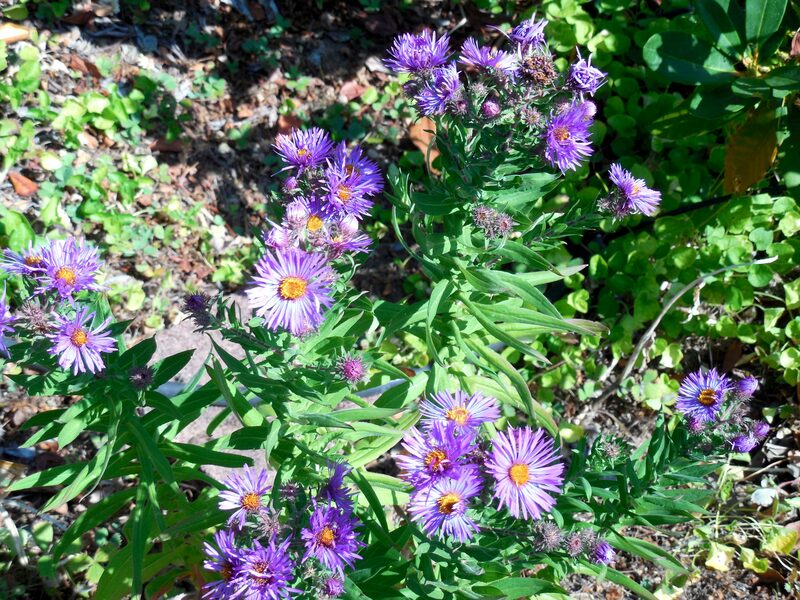 When I read the tag, I saw that it is not considered a perennial here and would probably not make it through the winter. I don’t like to bother planting plants that are known to have a slim to none chance of surviving winter, but I happened to find a place on an irrigation line that it could settle in for at least the summer. 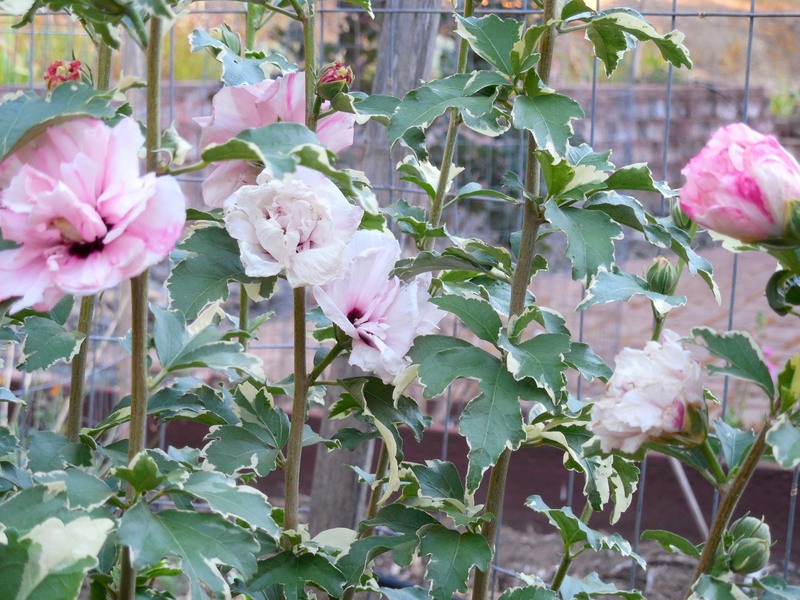 Such attractive flowers, and it has been blooming for about a month with no sign of slowing down – that is until it gets too cold. Categories: Uncategorized | Tags: blooming, dipladenia, flowers, pretty, rio | Permalink. This is a small specimen of what should grow much fuller as a perennial fuchsia shrub. It gets the early morning sun, and is protected from some weather extremes being located next to the house foundation. This is not the first one of these plants to get a home with me. But this particular one has survived at least a couple of winters, so I’m thinking it could last even longer. That is a garden goddess in the picture. I was surprised when I learned that people like to ‘pop’ the flowers to bloom sooner. Who thinks of these things? 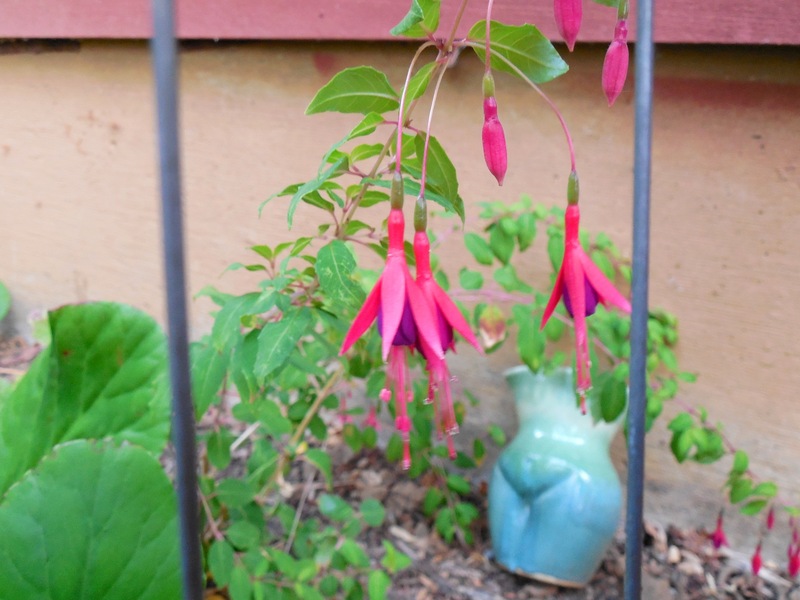 Categories: Uncategorized | Tags: fuchsia, garden, goddess, morning, perennial, protected, shrub, sun, survived | Permalink. 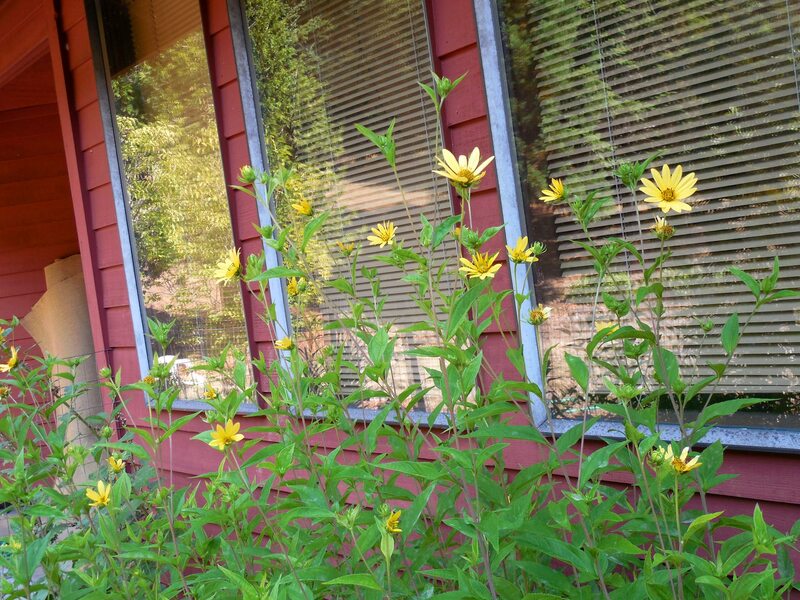 These plants come in all sizes and heights, and some people specialize in growing only dahlia flowers. I picked up a few bulbs on sale a couple of years ago, and planted them in different locations in my garden. 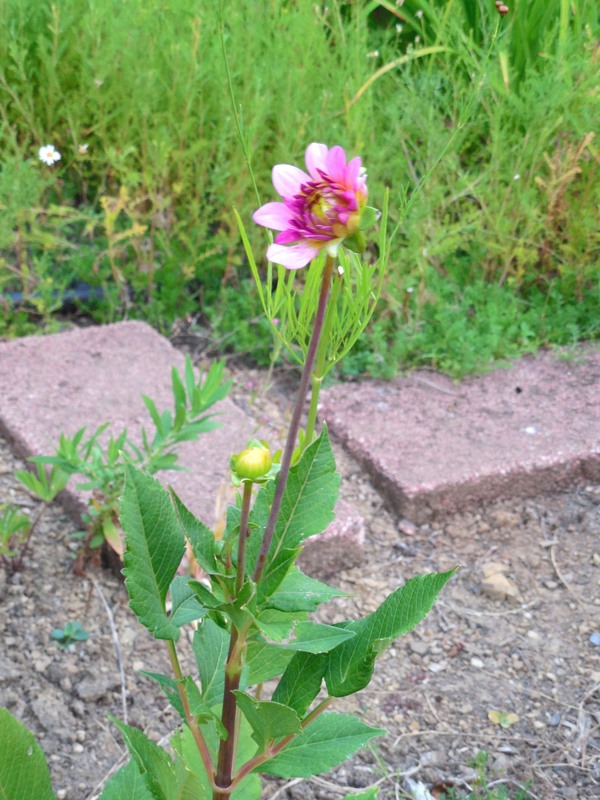 In my climate, I’ve read that you should dig up your dahlia bulbs in the fall, and replant them in the spring. No way I can stay on top of that! I promptly forgot that detail of plant care when the time came to do the job. Two of four bulbs survived winter, and are just blooming now. Now that I know they can survive a winter, I’ll have to nurture them along some more. I would like to see more of these flowers next summer. Categories: Uncategorized | Tags: bulb, dahlia, fall, flower, spring, summer, survive, winter | Permalink.